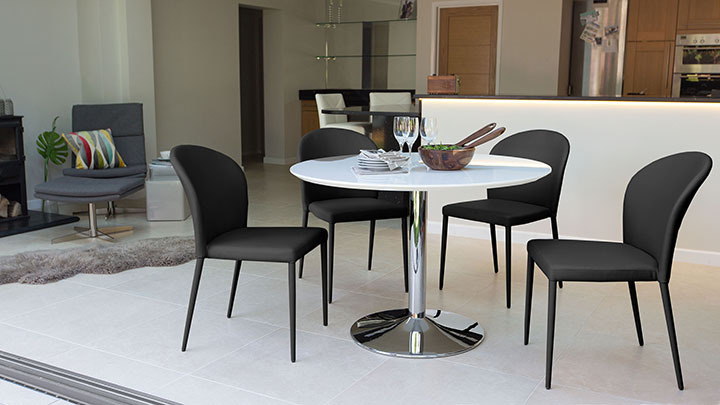 A stylish and elegant round dining set, suitable for up to four people. 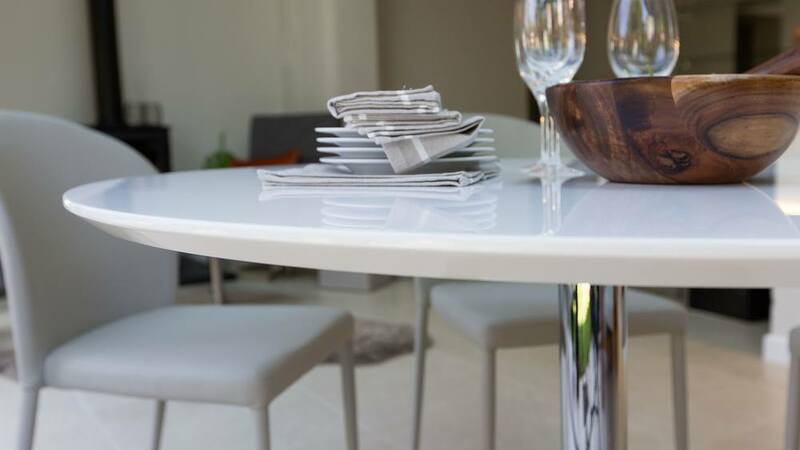 The Naro White Gloss Round Table is a simple and modern design, the glossy finish on the table top reflecting light to create an airy ambiance within any dining area. 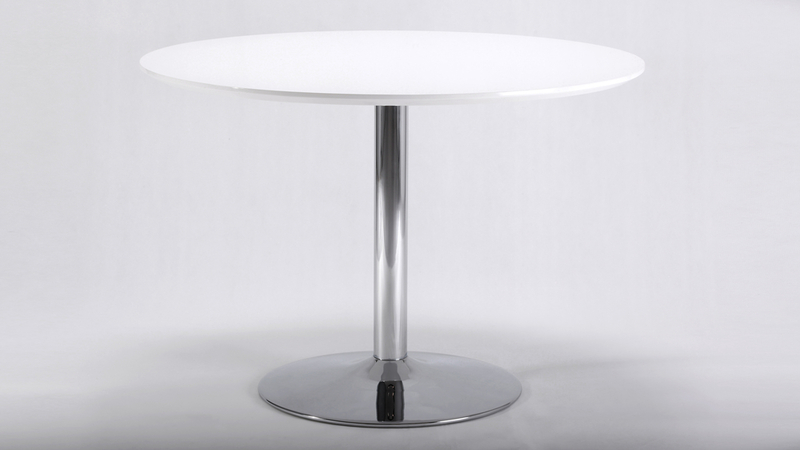 The stylish chrome trumpet shaped base supports a white glossy table top, measuring 110cm in diameter and 3cm in thickness. 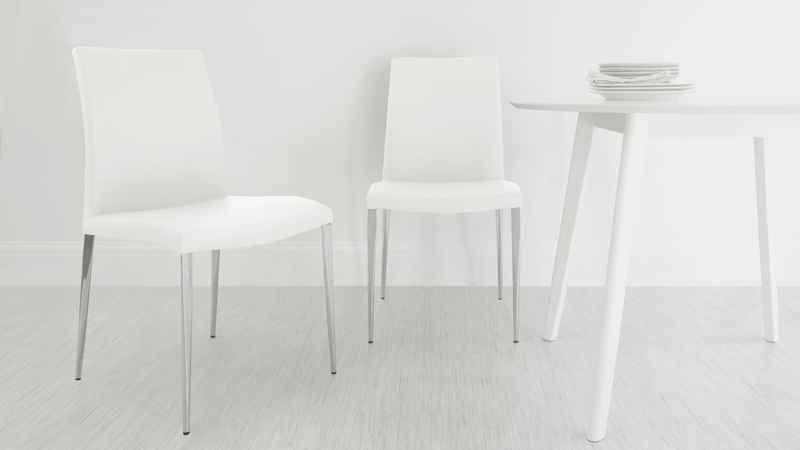 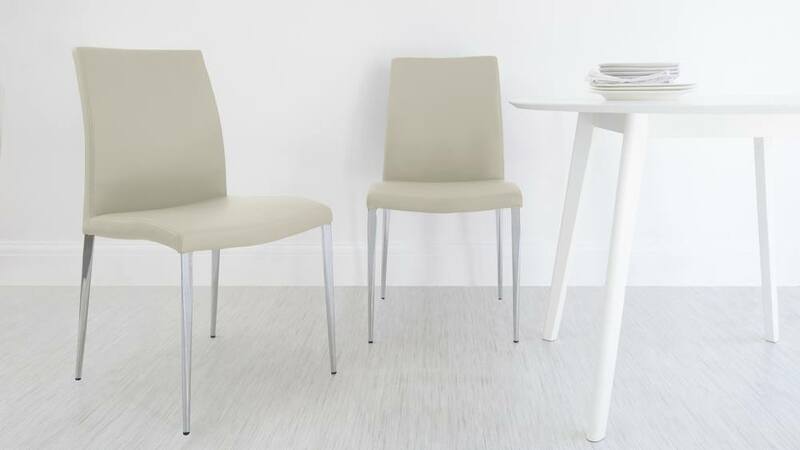 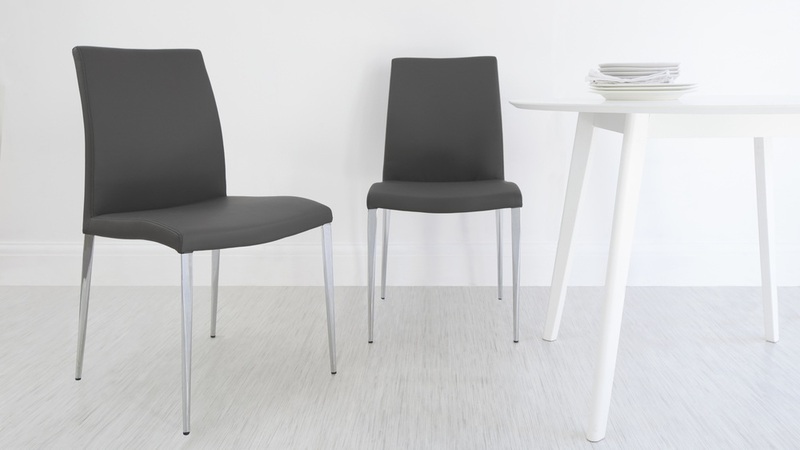 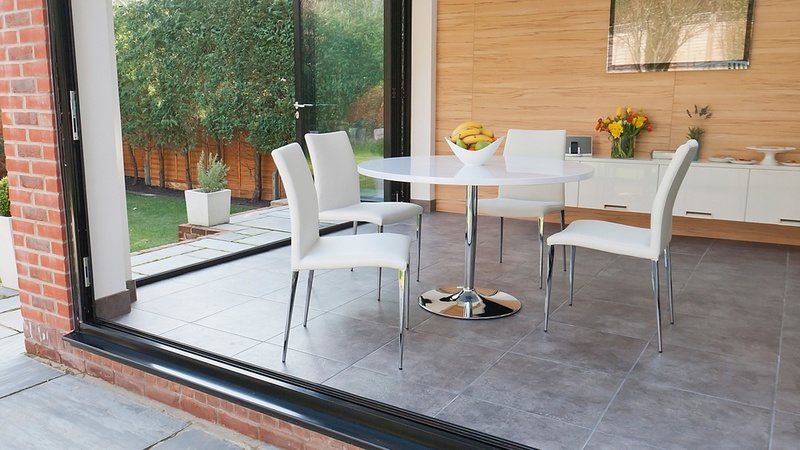 Along with the Naro White Gloss Round Table are the chic Elise Dining Chairs which have a very contemporary and sleek profile. 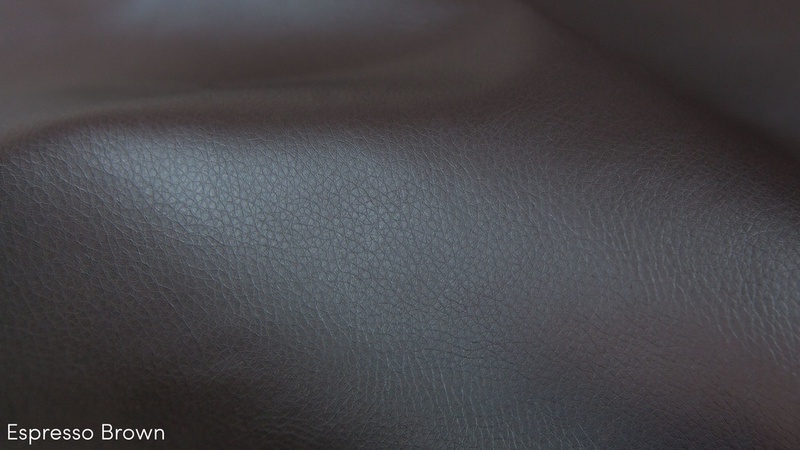 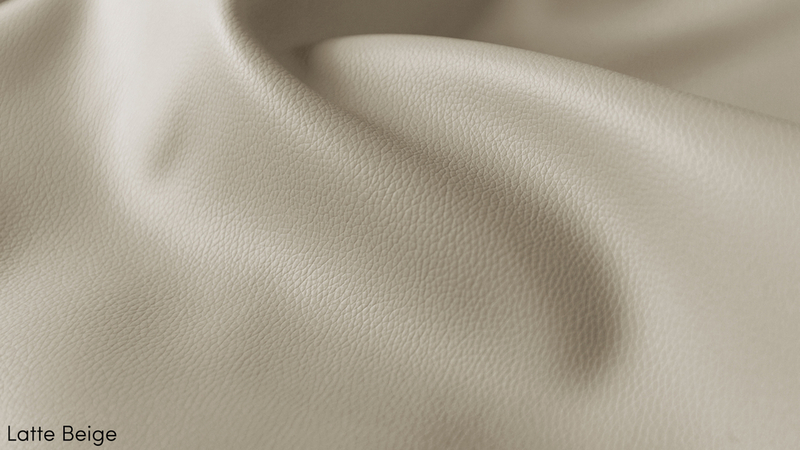 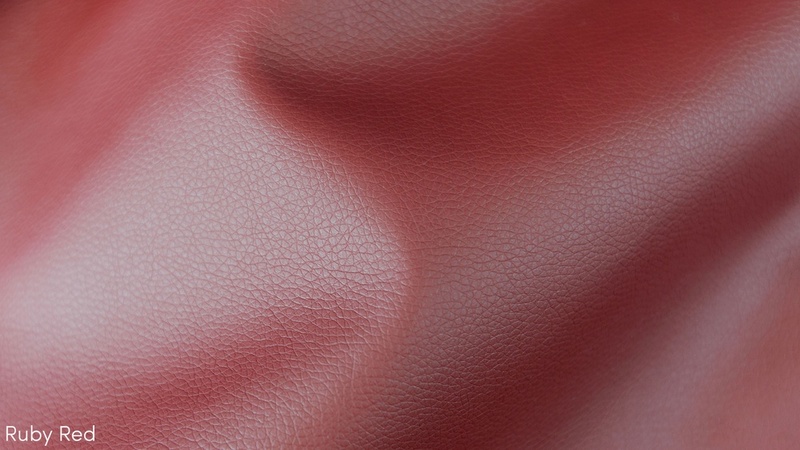 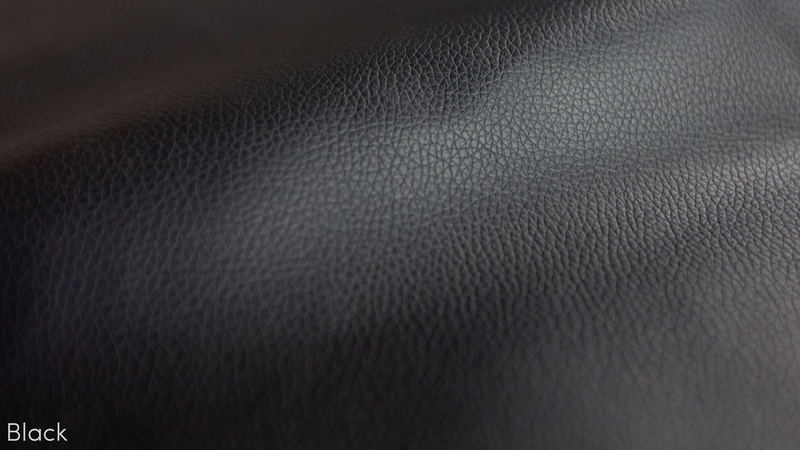 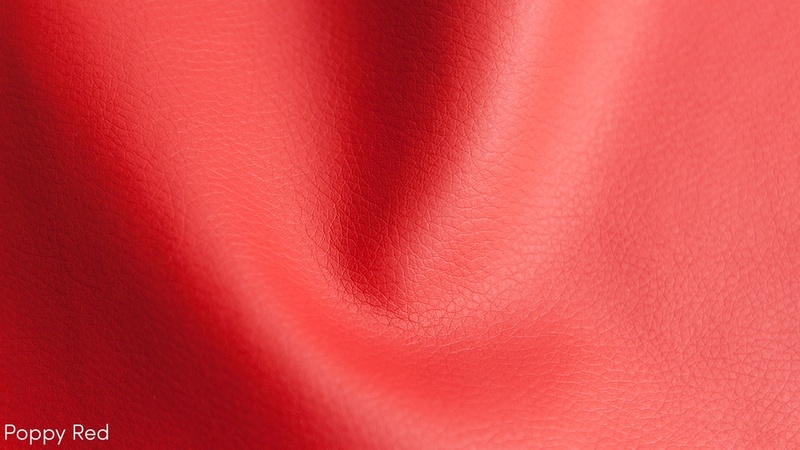 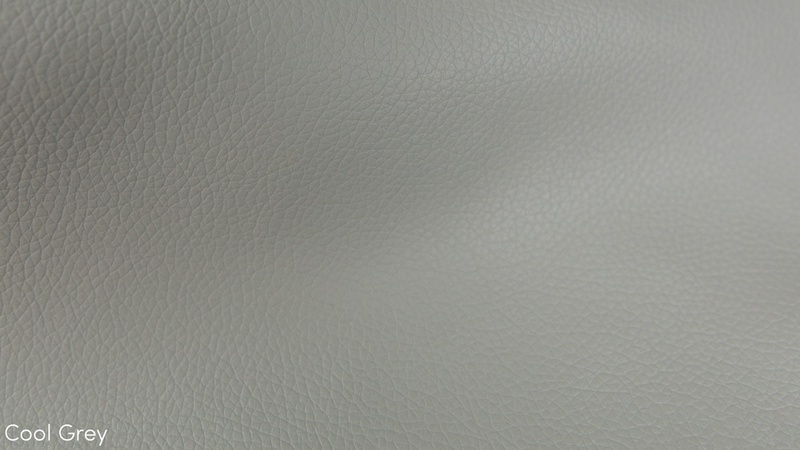 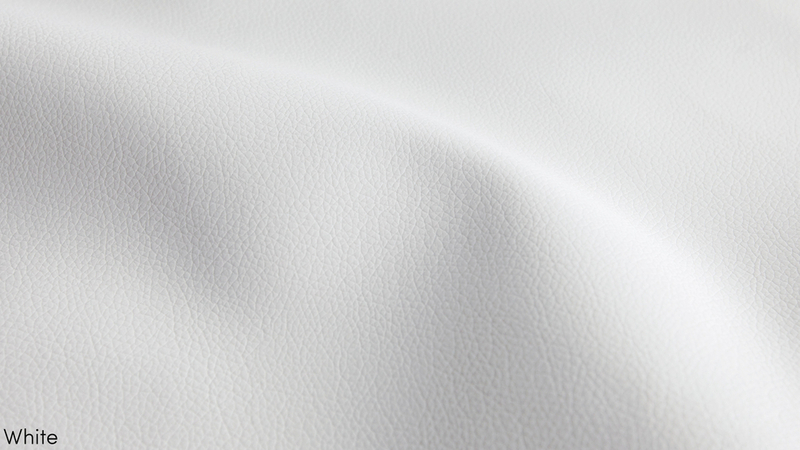 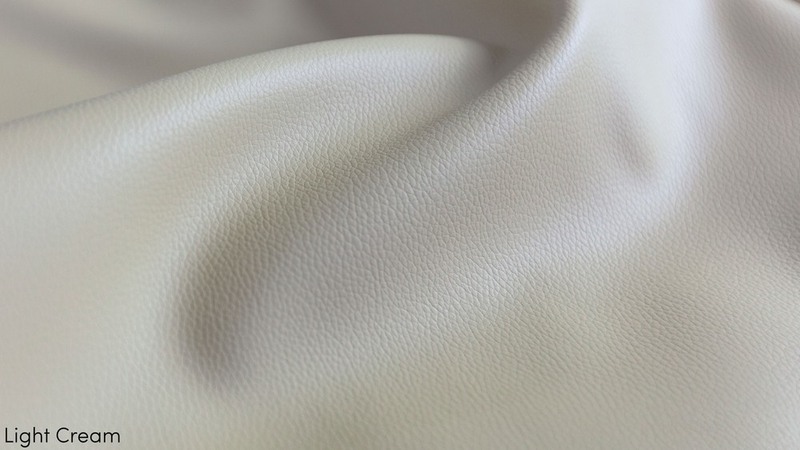 They are upholstered in high quality faux leather, available in classic Black, rich Brown, trendy White, Latte Beige, Putty Grey, Ruby Red or Poppy Red. 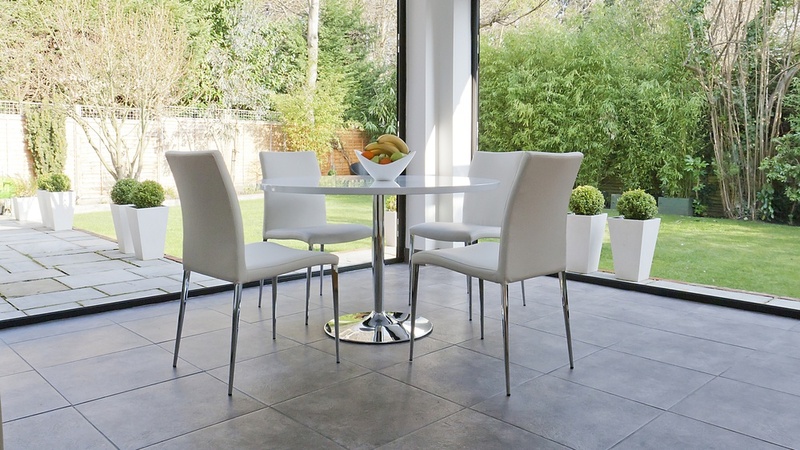 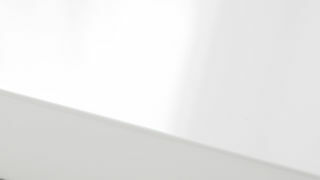 The Elise has slim highly polished chrome legs which taper elegantly. 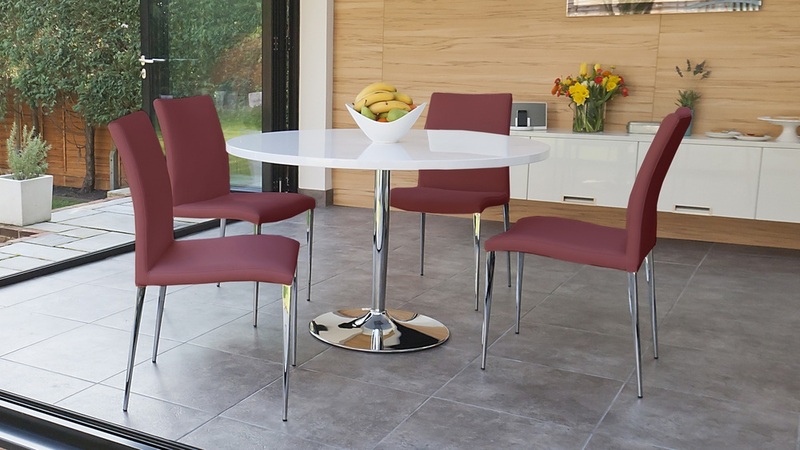 There is a new development on this table, we have added a soft chamfered edge which gives the table even more of a curvaceous feel.